The Purely White Standing Spray is a traditional arrangement in all white mums, roses, carnations and more. 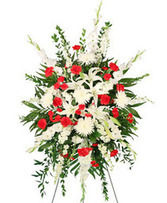 This elegant classic design is sure to provide comfort to family and friends alike. 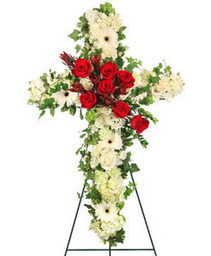 Also available in larger sizes from $200 and up. The Heavenly Cross By East Meadow Florist is a loving tibrute in red and white carnations and roses. 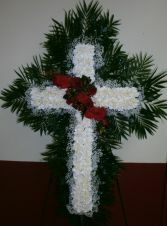 Our designers will be happy to customize the colors and flowers to personalize this lovely cross. 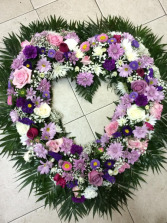 The Lavender Sentiments Open Heart is a loving tribute in calming shades of purple, lavender, and white. 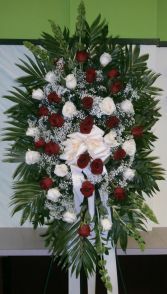 The Eternal Love Heart By East Meadow Florist is a wonderful tribute in red and white carnations with a white rose accent. 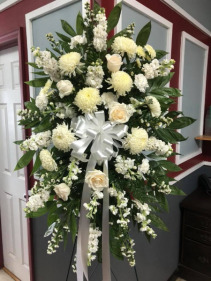 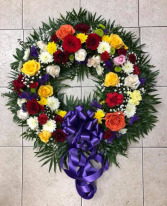 As always, our desingers will be happy to customize the flowers and colors to personalize your tribute. 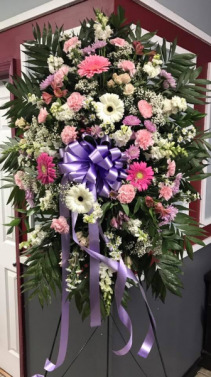 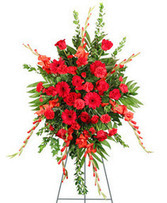 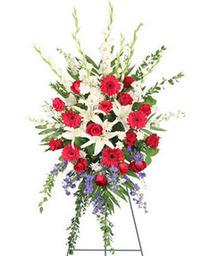 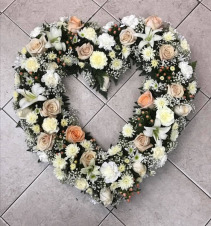 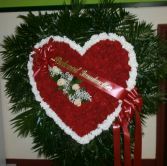 The Eternal Grace Open Heart by East Meadow Florist is a loving tribute to a dearly beloved relative or friend. 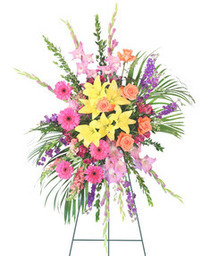 Soft colors will convey a peaceful message of love and remembrance. The Pastel Thoughts Standing Spray is a comforting tribute that will gently honor a loved one or close friend. Designed in shades of pink, white and lavender, it will convey your expression of sympathy in soft tones with a lush garden feel. 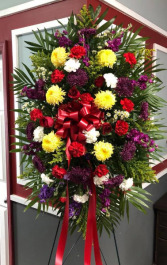 The Brightest Regards Wreath by East Meadow Florist is a colorful tribute created with roses, daisies, chrysanthemums and more. This tribute comes on a stand and will provide a memorable sentiment to family and friends. Also available in all white, red and white, pink and white, yellow and white or pastel mix. The Treasured Memories Standing Spray by East Meadow Florist is a warm display of roses, mums, carnations and more. 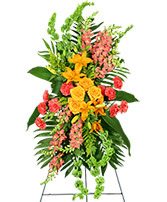 The rich colors will stand out as a special tribute to a friend or loved one.